The nineteenth century was a time of great change in an ever modernizing world. The SS Great Eastern is one of the seven wonders of the Industrial age. The ship was constructed at the height of the Industrial revolution and was made entirely of iron, and was considered the most luxurious vessel of the day. The ship, however seemed to be doomed since the day of its launch, continually enjoying scandal, misfortune and accidents. Brunel was instructed to manufacture the vessel. The construction was surrounded by financial scandal, Brunel’s bad health, and his untimely death in1859, which was just months after the ship was built. The ship that was commissioned in the UK was designed for long haul voyages to America, the vessel being able to make this incredibly long journey without having to refuel. The ship was to be six times larger than any other afloat at the time, and construction began in 1854. The vessel, after much argument surrounding the cost, was ready for launch in 1858, and although Brunel wished to keep the affair a quiet one, three thousand tickets had been sold by Eastern Company’s director. The launch was indeed a huge failure as the rams were indeed not strong enough to launch the weight of the vessel. Several consecutive attempts led to the launch finally taking place on the 31st of January in 1858, new super strength conditioned hydraulic rams been used. A date was given for the maiden voyage to Weymouth, but this was put back, this being just the start of a long chain of disasters that surrounded the vessel. The first attempted voyage outside of the United Kingdom, with America as the destination ended in five deaths and several more casualties as the ship exploded just past Hastings due to a faulty exhaust. This gave very little confidence to the public and the first real voyage to America took place on the 17th of June 1860. They only had thirty five paying passengers on board, the rest were non paying passengers, journalists, and well over four hundred crew members. Once again it appeared that the ship was jinxed as the boat was initially to set sail on the sixteenth, but was unable to as the crew were deemed too drunk to sail. The ship did however complete its maiden voyage, albeit in slow time and taking a non preferred route. Consecutive voyages to America were also unsuccessful for the doomed vessel, and on return to England the ship was commissioned by the British Government. 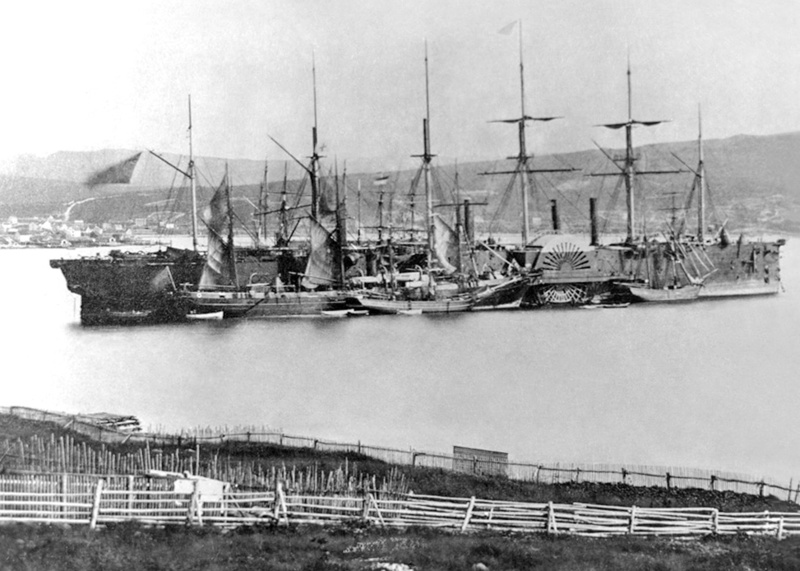 The first successful voyage of SS Great Eastern was when it was chartered by the British Government to travel to Quebec. More than two thousand troops alongside some forty paying passengers boarded the vessel that made the voyage in good time, arriving in just over eight days. The ship remained in Quebec for one month before returning to Britain, this time with over three hundred and fifty paying passengers on board. Bad luck however returned when only one hundred booked for the second sailing from Britain and the boat taking the passengers to the Easter ran aground. The ship arrived in America at the height of the civil war and little or no interest was shown on the ship. Upon returning, the ship embarked on what would be yet another disastrous journey to be added to the catalog of events when the shipped rolled heavily under command of Captain James Walker. After so many ill fated voyages, no offers were made at auction on a desperate bid to sell the vessel in 1864, and the SS Great Eastern was dismantled.